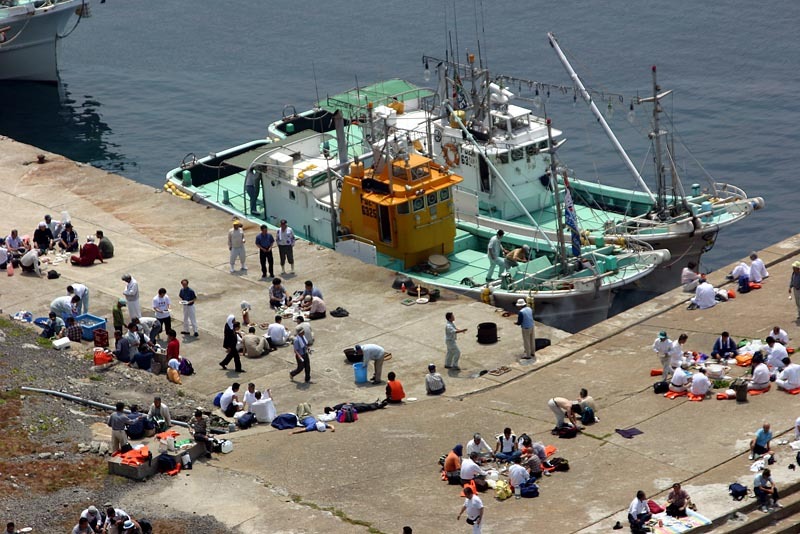 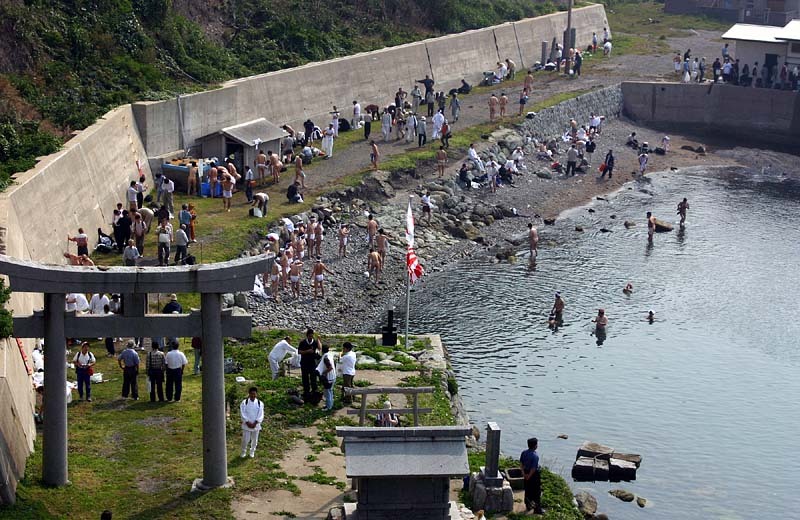 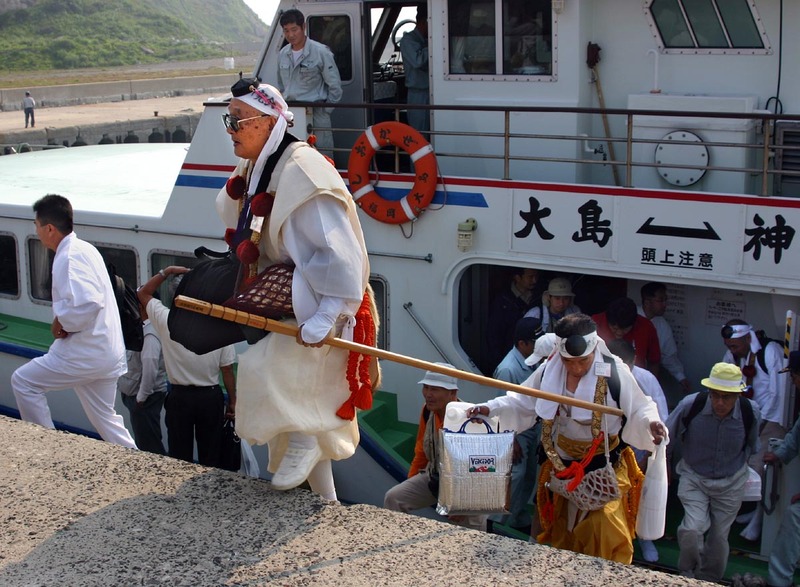 in the gathering dusk, Each wearing white fudoshi. 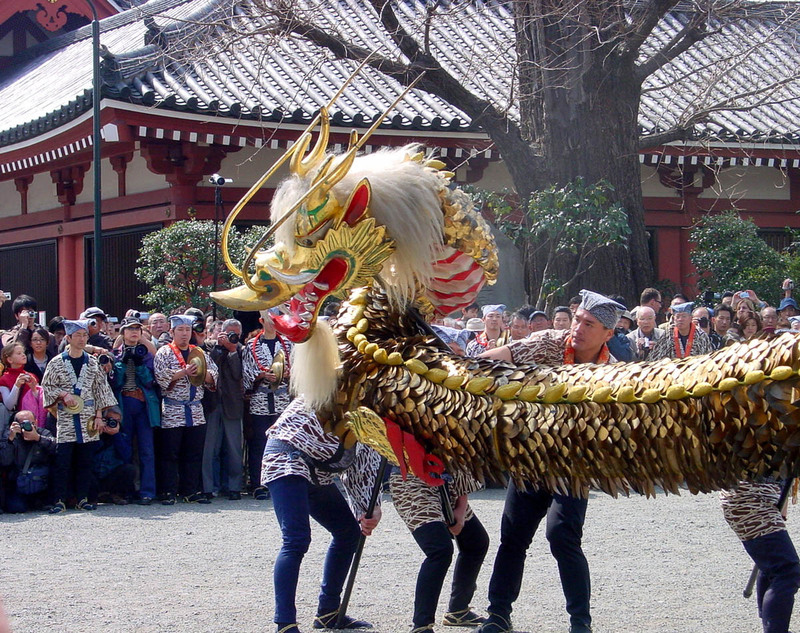 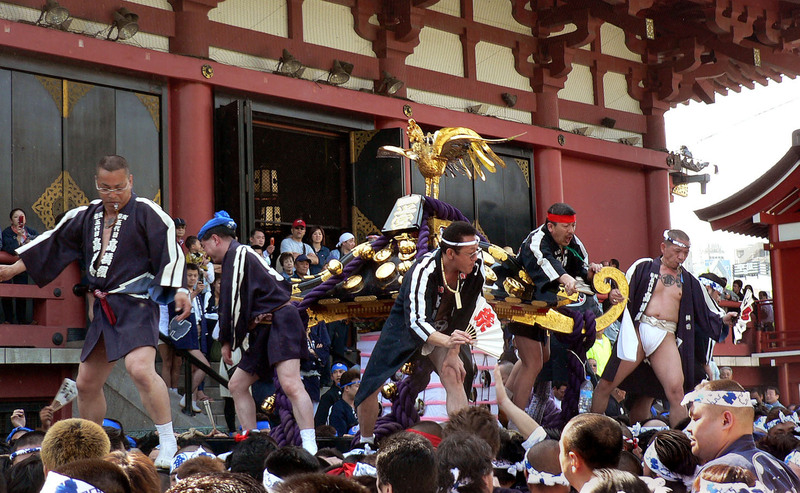 A lady gently fixing her hair with her hand in summer festival. 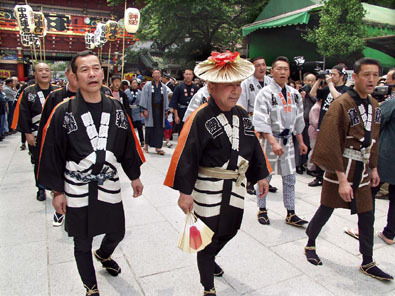 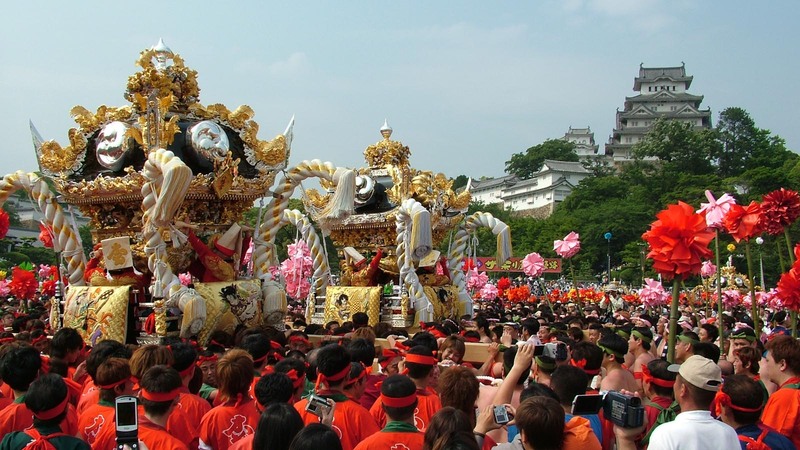 Both son and father wearing loincloth in summer festival. 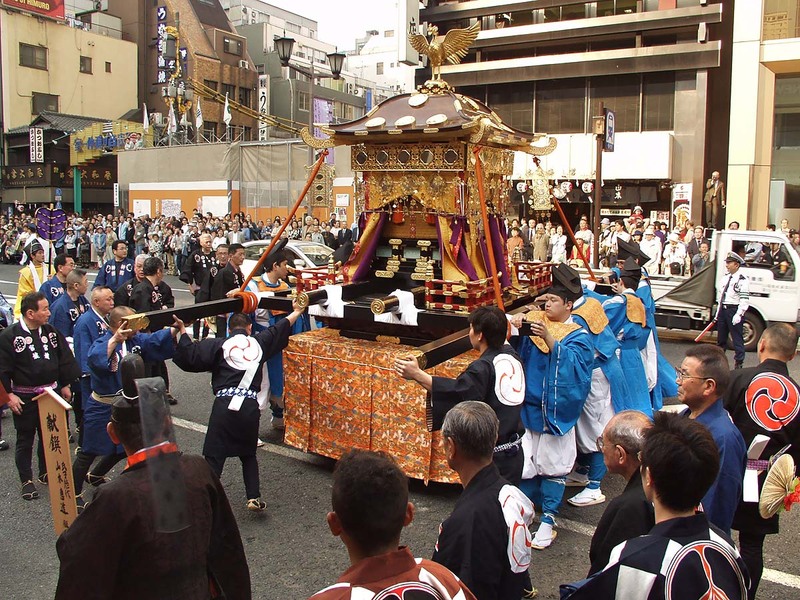 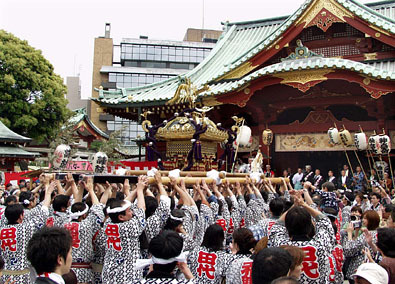 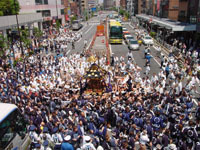 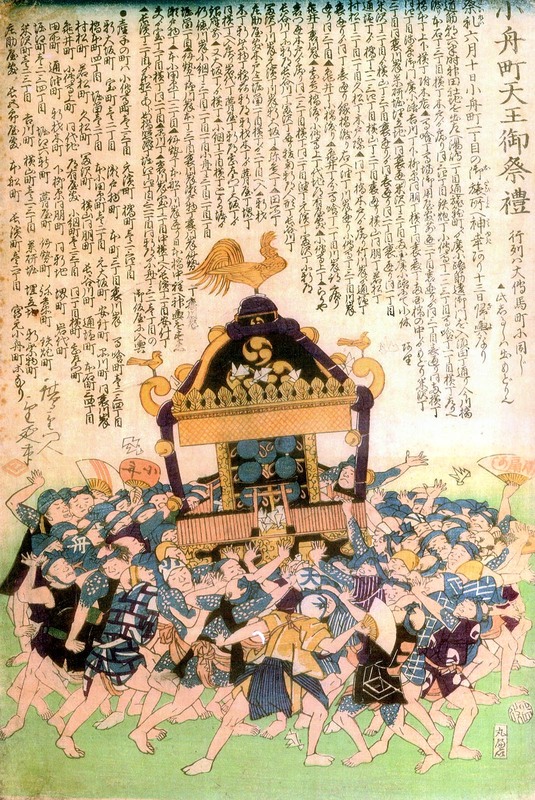 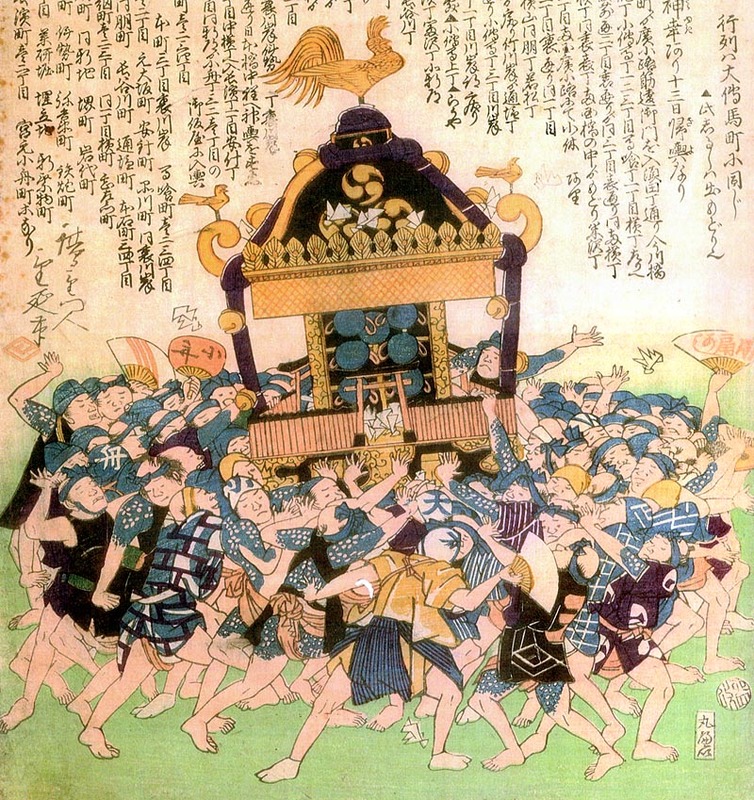 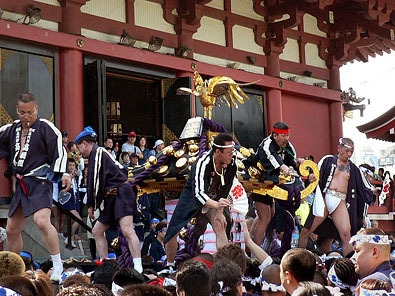 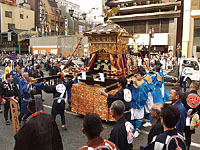 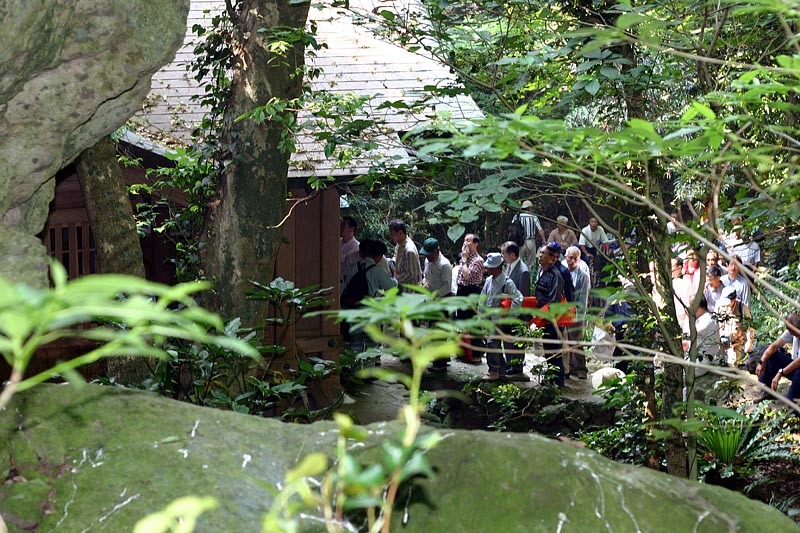 A portable shrine raised up for Kannon, the dandyism of Edo. 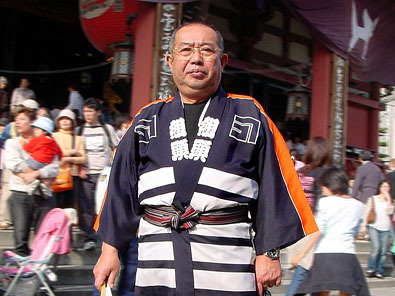 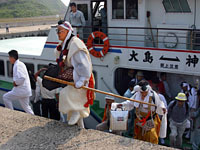 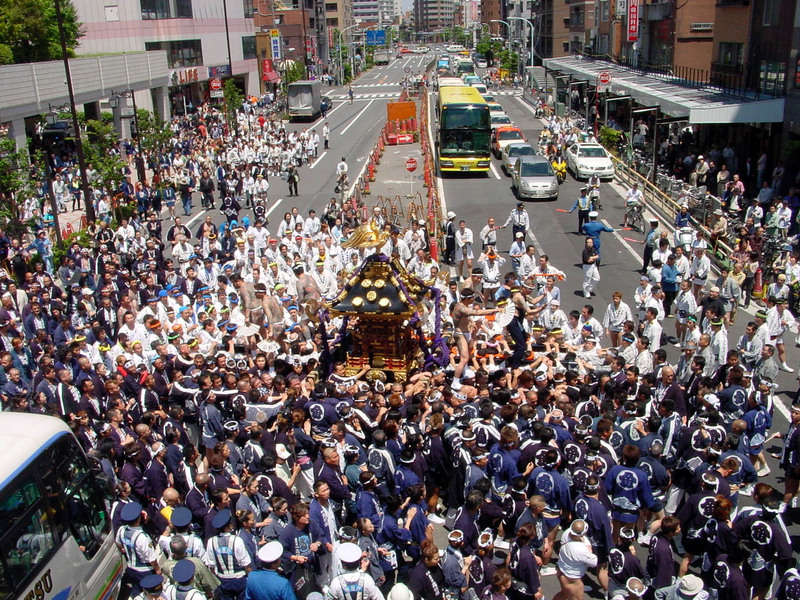 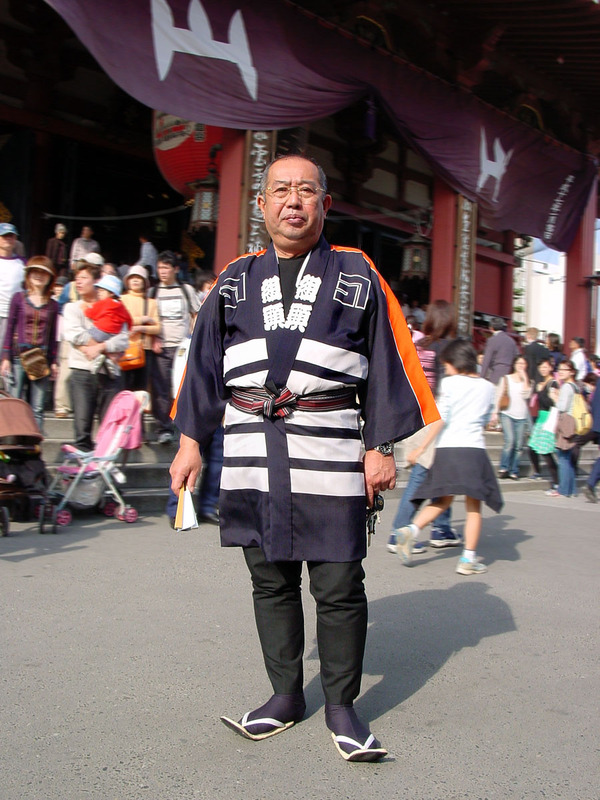 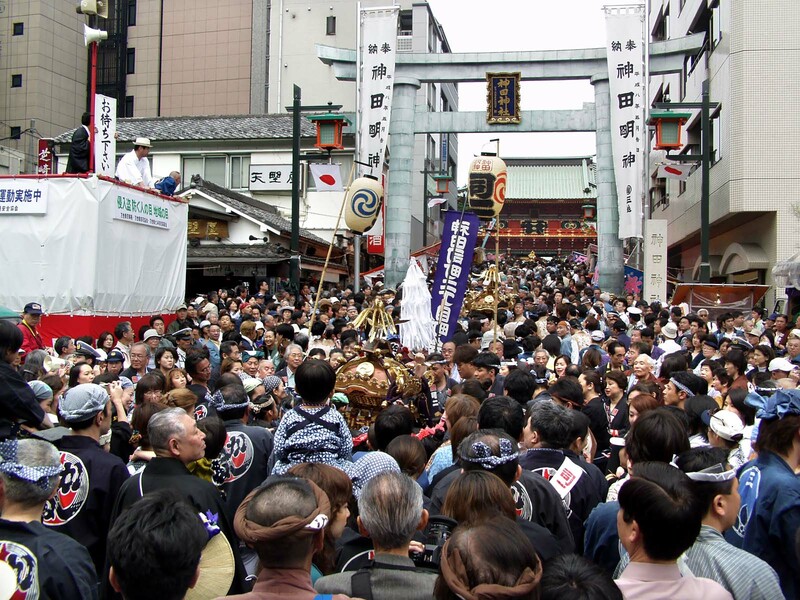 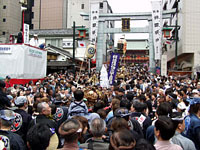 A Sanja portable shrine in the gathering dusk, Each wearing white fudoshi. 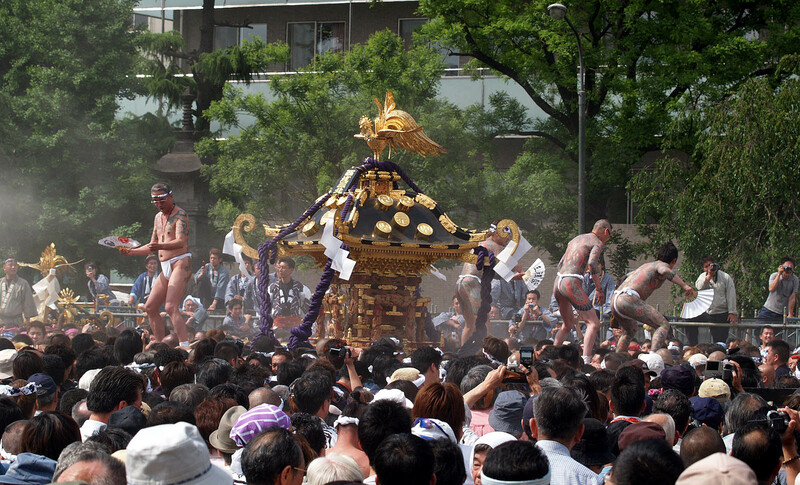 Licking salt on a square wooden cup, drinking sake entertained in the summer festival.